Boreal Laser is a developer and manufacturer of laser-based gas detection instruments for a wide array of gases, industries, and applications. Boreal Laser's GasFinder product line, which includes measurement and monitoring solutions for the safety, environmental, and mobile domains. The GasFinder3-DC is used for applications where a specific target gas has been identified for leak detection or ambient monitoring applications. The GasFinder3-DC only "sees" the one gas it is meant to detect, which makes it perfect for leak detection (no false alarms) and ambient monitoring (no cross interferences). OP-TDL has no memory effects as each measurement is independent from the last. OP-TDL cannot be poisoned or mechanically over ranged since the laser light used to measure the target gas is immune to chemical reactions. The fast response time of 1 second per channel offers great temporal resolution and monitoring path lengths up to 750m provide cost effective area coverage. The mono-static configuration (transceiver & retro reflector) enables longer and more stable path lengths and limits requirement for power to only the transceiver end. While the GasFinder3-DC is technically an analyzer, this product has been designed to be a field deployable tool like an instrument. Unlike most open path gas analyzers, data collection and interpretation is both simple and intuitive. The system outputs exactly the information you need without the need for post processing and third-party software. The GasFinder3-DC has the ability to store all its collected data internally for more than 20 years. 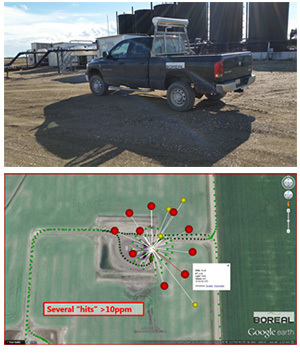 Boreal has provided gas detection solutions to land based vehicles for the last 18 years. The analyzer combines GPS location data to give highly accurate positioning for fugitive emission leaks. 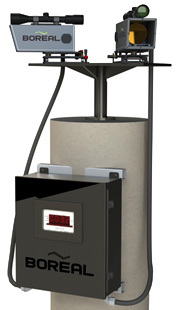 The live read-out display and alarm provide the operator with instantaneous gas concentration data. 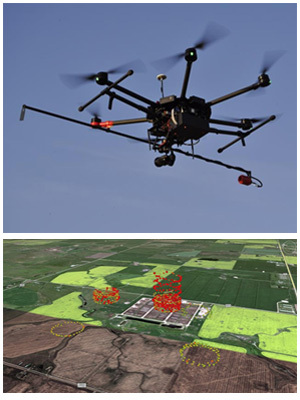 Boreal has provided gas detection solutions to land and airborne based vehicles for the last 18 years. The analyzer combines GPS location data to give highly accurate positioning for fugitive emission leaks.